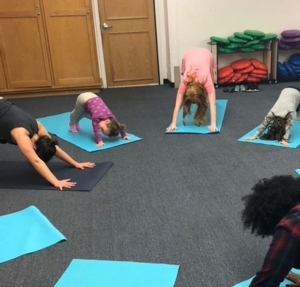 Tue, January 22, 2019 4:00 P.M.
Children are invited to practice yoga with us through exciting activities like yoga stories, yoga songs, yoga games, yoga adventures, hands-on mindfulness activities, guided meditation, and more. Have fun, build strength and learn relaxation techniques at this hour-long yoga class for children. Wear comfy clothes. Caregivers are welcome to participate. Mats are available - use ours or bring your own.